Here’s a new addition to the Boston Sports Blog…Throwback Thursdays. Each Thursday we’ll post a few historic events in Boston sports or other interesting events that occurred at this time years ago. Enjoy. 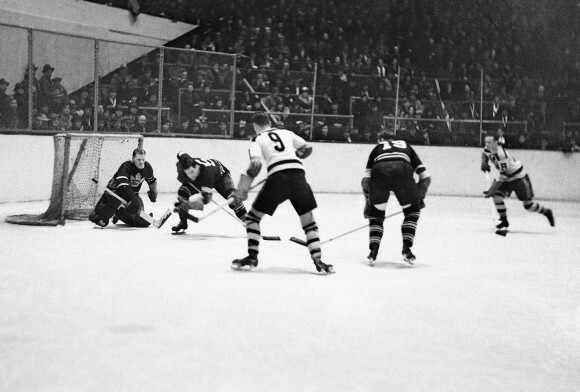 1939 – Boston Bruins won the Prince of Wales Trophy, clinching the NHL regular season championship. Marked the first time the trophy was awarded for this reason. 1954 – NBA raised the basket from 10 ft to 12 ft for an exhibition game between the Minneapolis Lakers and the Milwaukee Hawks. 1955 – Baseball commissioner Ford Frick said that he was in favor of legalizing the classic spitball. 1982 – The NCAA college basketball tournament selections were televised for the first time. 1995 – Dominique Wilkins of the Boston Celtics became the ninth NBA player to achieve 25,000 career points. And why not use this post to give a little old school tribute to the B’s in the video below. This entry was posted in Throwback Thursday and tagged 1939, boston bruins, boston celtics, boston sports blog, Prince of Wales Trophy, Throwback Thursday by jtulz07. Bookmark the permalink.